It’s no joke that this winter season has been harsh. Not often will you hear that the US’ Southern-most State, Florida, gets swamped in snow. Jackets tend to be (at least should be) the most essential part of a man’s wardrobe in the winter. Depending on where you live, it could be totally unpleasant, causing you to want to stay inside. However, it doesn’t have to be that way. Winter doesn’t have to be miserable. A simple purchase of a good, high-quality jacket could be the life or death between you and your wintery adventures. Besides, who says you can’t look good wearing it? This comprehensive guide will show you the all around best winter jackets for men. The chart below displays the best winter jackets for men who travel, along with their ratings. Click "See Today's Price" if you want to know the current price for each of the best jackets for cold weather. There’s no doubt about it. The winter weather this year has been beyond cold!! After seeing all the memes saying, “Why do I live where my face hurts” certainly had myself asking the same question. Even my hometown here in Texas just got snow two days ago. It’s utterly ridiculous. It’s one thing for your face to burn from the cold. But when your chest starts to shake violently from the chill, that’s when you know you need to buy a thicker coat. Well, at least I did I needed to. A winter jacket has a pretty obvious purpose: to keep you warm. This is the first and foremost thing that you should keep in mind while looking, as your health and well-being takes priority over style. These best winter jackets for men will keep you warm while looking good at the same time. These are two things that should go hand in hand when shopping for that new winter coat. Usually, the first thing that most people (including myself) think about when considering a good winter jacket is style. No guy wants to wear a coat that doesn’t fit right, or worse, looks appalling. And to be honest, there’s not much worse than wearing that super awesome looking jumper but not being able to stand still for more than 10 seconds. My recent trip to New York City over the holidays made for perfect example. Fellow Trekbible writer, Faith Walls and I ventured out into the subzero temperatures to try new food for reviews. The biggest mistake I made was that I sacrificed warmth for style. I chose my thin athletic tracksuit over my thick winter coat. The good news is, it doesn’t have to be that way for you. There are in-fact the best winter jackets for men that were created with both style and comfort in mind. In terms of ease of portability, it could mean both of two things. First, the coat should not be one in which it hampers your ability to perform normal everyday tasks. Second, it should be able to be transported (in a bag) without eating up all your space. For all my men who travel: we’ve all been in this situation. Winter jackets have their own special way making packing a difficult task. Generally speaking, it can be a huge pain. In some cases, a normal winter coat can easily take up a fourth to a half of a suitcase’s space. Once again, it doesn’t have to be this way. Durability - You don’t want a flimsy jacket that will give up on you after a couple weeks’ use. Stylish - It’s good to stay warm, but it’s better to do it while looking good. High Price - This is something hard to get escape when looking for a high-quality jacket. Rest assured as it will prove a trusty investment. 1. What Can I Afford? It can be easy to find good winter coats, but then realize that they fall way out of your budget. For this reason, make sure to lay out your boundaries before you find “the perfect one”, so you don’t end up disappointed. 2. What Specific Features Suit my Needs? Be thorough in your research. Maybe you’ve found your dream snow jacket, but it has no pockets, and you really need pockets. There are bound to be other options. Don’t just fall for the first one that you see. So you discovered the perfect down parka to pair with your suit on your upcoming business trip to Canada. However, you know that there’s absolutely no way that it’s fitting in your suitcase. Well, that’s also an important aspect to consider. When you don’t feel like wearing it on the plane, where will you put it? That's simply just one of many important things to consider when searching for your new winter investment. There are definitely many options in the way of material and build. One fabric may look better, but the other may fit more comfortably. Whether you prefer hard-shell, or puffer, make sure to keep in mind material preference while pursuing your search. 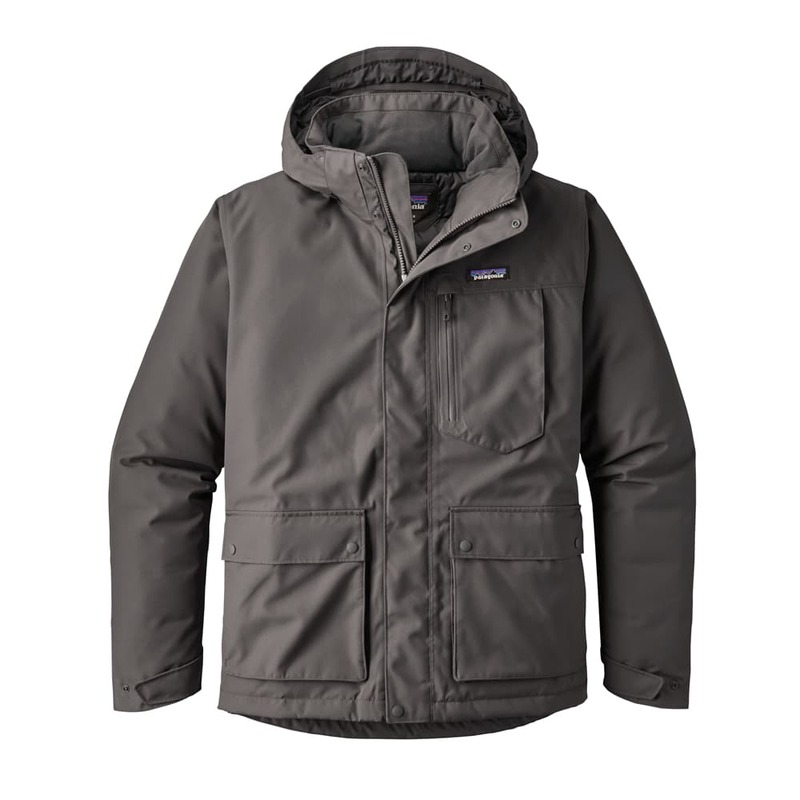 You can’t go wrong with a winter jacket that was designed by Patagonia. 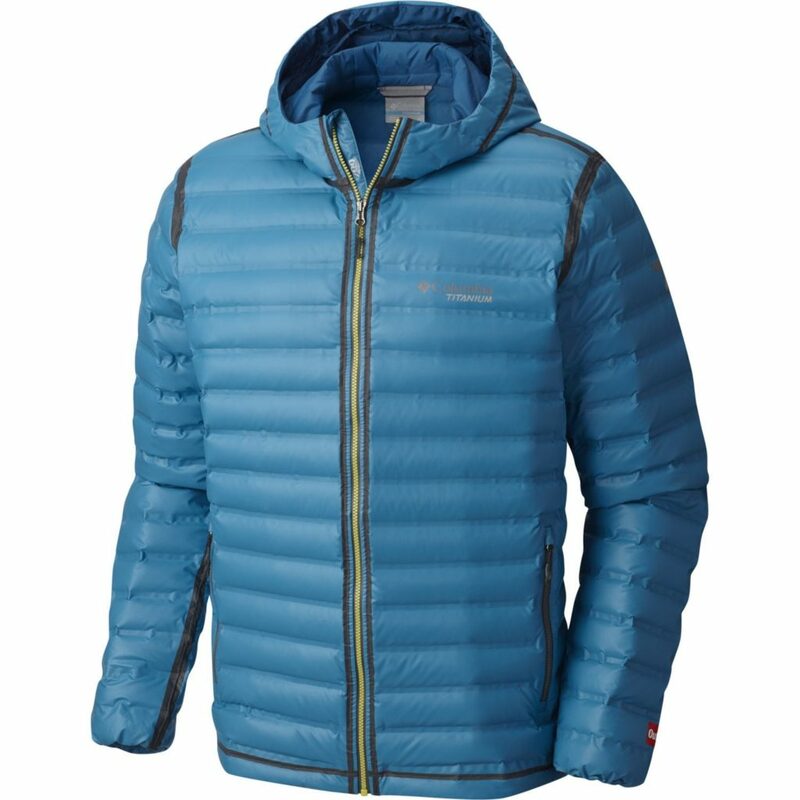 Topping the list, Patagonia's Topley is the one of the best all around winter jackets for men. Once again, they have crafted a piece that’s more than just your average coat. It has enough pockets formal your accessories and looks good while doing it. Known for their urban aesthetic, this Patagonia jacket looks just as good in downtown London as it would on a snowy mountain. It’s available in three handsome colors, Dark Ash, Forge Grey, and of course a class Black. It’s insulated, as well as waterproof, but doesn’t come at a small cost. If you're willing to invest in a coat that will keep you warm while looking stylish, you may just be able to own one of the best winter jackets for men. Known for its top-quality outdoor-wear, Columbia has won a spot on the list with this waterproof down coat. Perfect to throw in a backpack or suitcase, this jacket has proven extremely compact, making it ideal for men who travel. Columbia fanatics have dubbed it one of the best winter jackets for men as it proves great for the most extreme temperatures, while layered with under-garments. For anyone looking for the best winter jackets for men and put thier fashion first, here’s the best option for you. 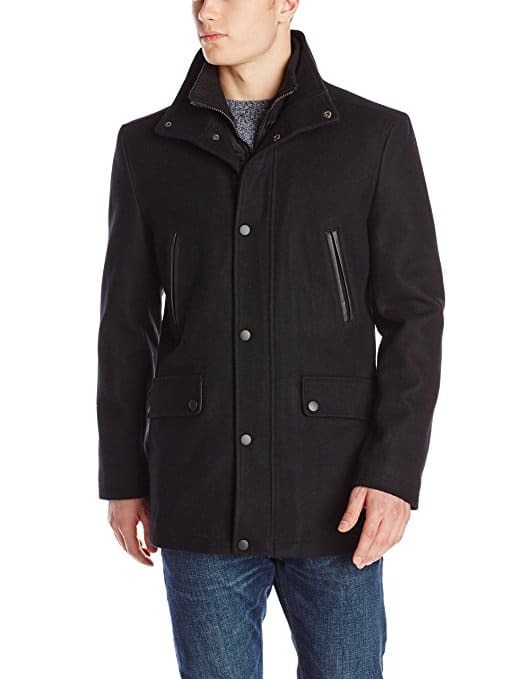 Kenneth Cole has woven this coat that will fit all budgets but isn’t cheaply made. It sports a classic look, and will certainly set you apart from the rest. Black is the only color it comes in, but what else would you want? It’s wool so you won't have to worry about facing the cold, but wouldn’t recommend for extreme temperatures. The jacket even has external pockets for your phone and other accessories. Any man who appreciates outdoor winter activities could agree that The North Face produces some of the highest of quality outerwear. 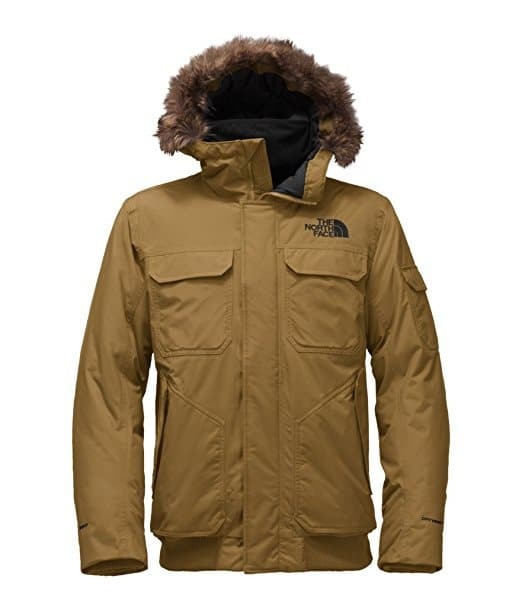 The North Face Gotham Jacket III combines the pinnacle of warmth with its signature style. While this jacket may not be the most ideal for packing, it certainly will keep and cold out on your next winter adventure. For what it offers, it comes at a relatively reasonable price. One of its defining features is the faux fur collar, which, gratefully, is removable. 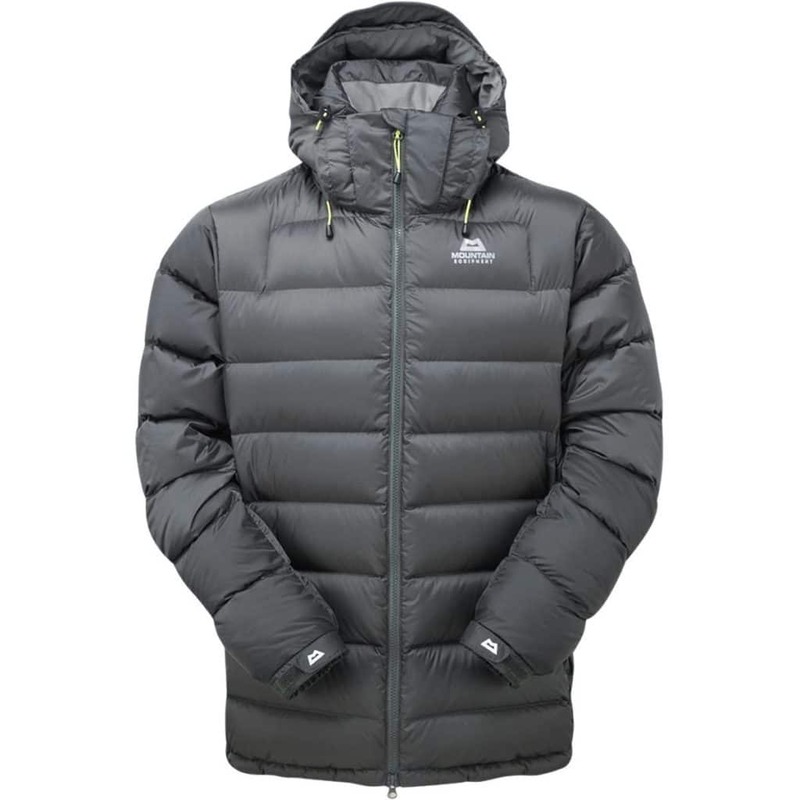 Its handsome look and quality build make it ideally one of the best winter jackets for men. The Mountain Equipment Lightline proves an excellent alternative to the Columbia Outdry EX. While its immediate style may be better suited for outdoor activities than exploring the streets of New York City, you can confidently wear this down jacket knowing that you won’t be bothered by the cold. It’s windproof and highly water-resistant. However, if you’re looking to carry hold small things, this may not be your best option, as there are a very limited amount of pockets. However, owners have raved about this coat, making it one of the best winter jackets for men, so check it out for yourself. To top off the list, here’s one of the best winter jackets for men who feel most confident in a parka. 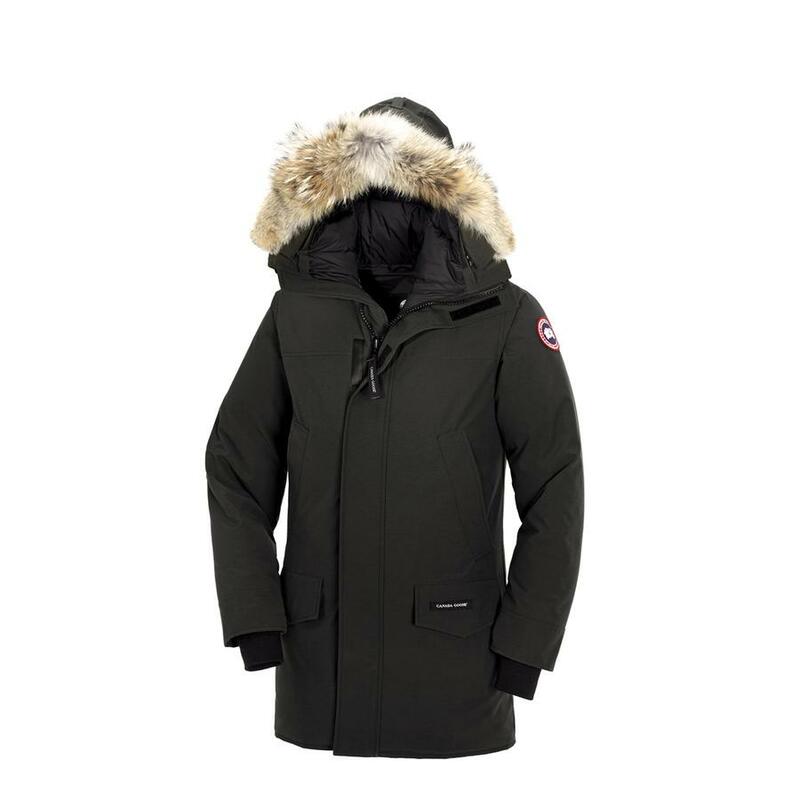 The clean urban styled Canada Goose Langford Parka is full of features and will certainly keep you comfortable and warm. One its most notable features is the removable ruff crafted from natural coyote fur. But before you fall in love anymore with this parka, keep in mind that it holds a whopping price tag of over $900. However, if this is a piece that you plan to use for the rest of your life, it might be smart to consider the investment. 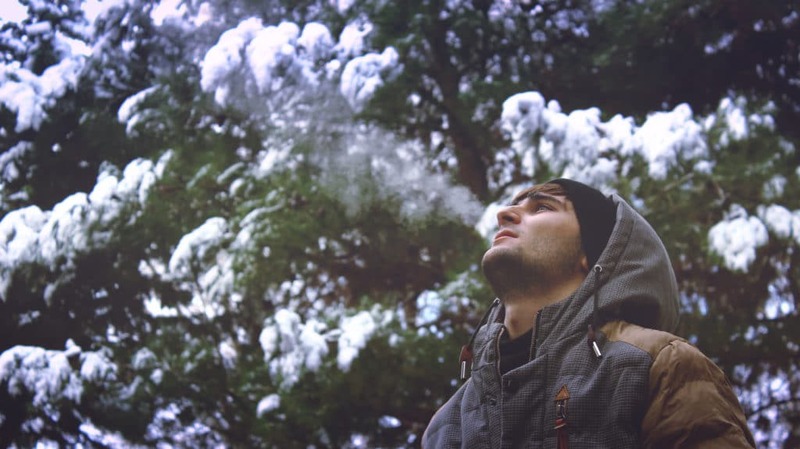 Take a look at these articles for where you might get the best experience out of one of your choice of best winter jackets for men. Form and functionality should work hand-in-hand with a good quality winter jacket. Style is important, but staying warm and dry is vital when facing the winter elements. Regardless of personal preference, I hope that the list of the best winter jackets for men has helped you narrow down your needs and wants and that you find the perfect and best one for you and all of your traveling needs. Trekbible writer Micah Trostle is an 18-year-old photographer, videographer, and travel writer. Although he was born in the USA, his home is Papua New Guinea, where he enjoys adventure sports, camping, and loving on people! 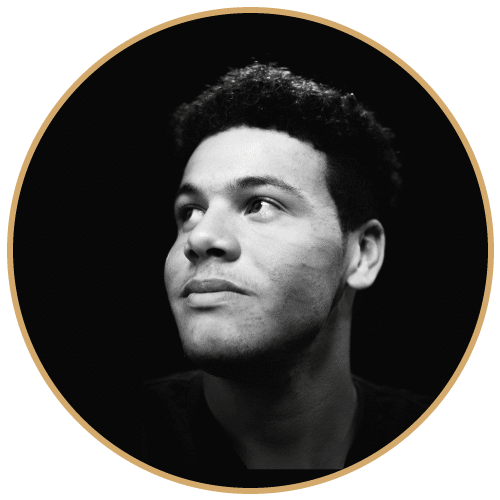 He is passionate about Papua New Guinea and hopes to move back in the near future to impact business development and help to expand communities.